Are you at your wit’s end trying to find a hair replacement solution in Brisbane? If you’ve tried everything you could to regrow your hair and are facing a dead end, perhaps a hair replacement solution might be the answer you’ve been looking for. 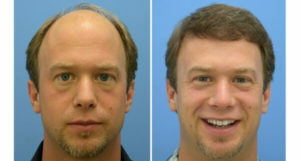 Regain your lost confidence by looking and feeling whole again, no matter the cause of your hair loss. 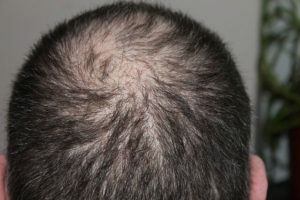 Tango Hair Loss Clinic offers non surgical hair replacement solutions in Brisbane from natural hair loss specialists. To discuss which solution best suits your needs call our team on (07) 3366 1388 to arrange your FREE consultation in one of our private rooms. Is a custom hair replacement solution the answer you’ve been looking for? If you’re suffering from hair loss you already understand the serious impact this condition can have on your confidence and your ability to enjoy life. It may feel like you’ve tried everything you could to regrow your hair, but the problem still persists. Hair loss and thinning caused by alopecia, surgery, chemotherapy and genetic factors can be experienced by anyone. Young or old, male or female. 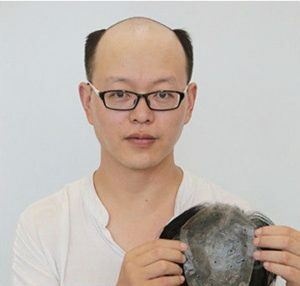 Unfortunately, hair loss doesn’t discriminate. No matter your circumstance, it can be a real blow to your self esteem. What’s worse is that it can often be difficult to find a solution that perfectly matches your needs. That’s why we offer a number of hair replacement solutions that can each be custom designed to suit you personally. We will have you walking out of our clinic with the confidence only a full head of hair can provide. The severity of your hair loss will determine the solution best suited to you. You can choose from an array of toppers, half head wigs and full head wigs, all of which can be customised to best fit you and to have you looking your very best at all times. Before we start creating anything, we’ll cast a mould of your head and use that to create a unique template that matches you alone. You’ll then be guided through a process to create your own hair system that will seamlessly blend in with your existing hair or that will be made to look as natural and undetectable as possible. You’ll have a number of options at every step of the way so that you can walk away with the perfect design that complements your style. When it comes to looking your very best, you cannot afford to make compromises. We understand this and that’s why we go the extra mile in offering you a number of choices and expert advice to create the perfect solution. 1. Choose Your Hair type: Human or Synthetic? You’ll be able to choose from 100% human hair or synthetic options depending on your needs. We have 100% Indian, European and Remi human hair available. If your hair is grey, we also have yak hair which is the closest natural hair that can complement grey tones. You can choose any length of hair you like. Standard lengths vary in size from 8 inches (~20 cm) to 18 inches (~45 cm). Our specialists are also qualified hairdressers and can work with you to find the ideal look and length. Choosing the right colour for you is not a five minute job. A lot goes into choosing and blending a colour that looks as natural as possible and complements your style. You have the freedom to choose as many colours as you like until we get the best combination for you. There are a number of base materials available for you to choose including silk, mono, poly, ribbon, honeycomb and french lace. At your consultation we will discuss with you which of these is most suited to your invidiual needs. As this is a completely customised solution, the total process takes between 3-4 months to complete and the cost will vary depending on all of the above chosen criteria. The human head has on average 100,000 hairs and we’ll be working to make sure each and every one sits perfectly on yours by the time we’re done. If having a custom hair replacement system designed for you sounds like an option you’d like to explore, call us on (07) 33 661388 and book in for a FREE consultation in one of our private rooms at our Brisbane Clinic. In this consultation, we’ll answer all your questions, assess prices for your custom hair replacement solution and help you figure out if this is the best next step for you to combat hair loss. You can rest assured that you’ll be in the experienced hands of a professional who has worked with many others in a similar situation to yourself.